The Bad North development team caught up with us at EGX Rezzed 2018. Nintendo UK: Thanks for taking the time to speak to us! Please could you give us an introduction to Bad North? 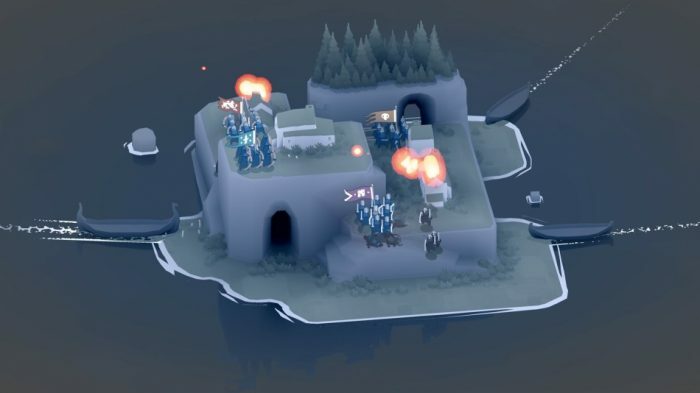 Plausible Concept: Bad North is a minimalistic real-time tactics roguelite about fighting Vikings. 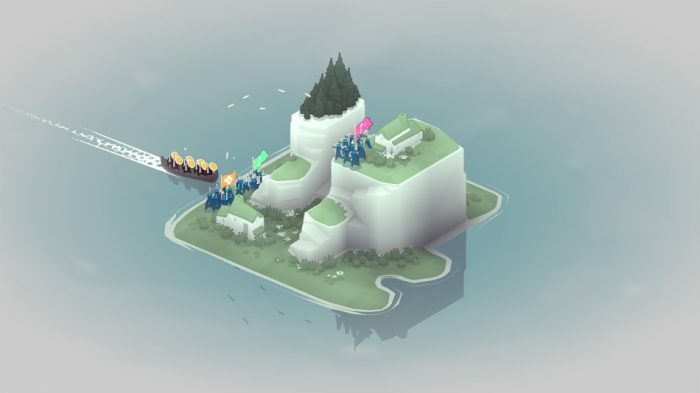 The game takes place on a series of small, beautiful islands which you defend against marauding Vikings. As you progress from island to island, you will be recruiting and upgrading the squads in your team. The game is a small-scale and accessible distillation of the RTS genre. We keep interactions and UI super lightweight so that anyone can pick up the game and have fun immediately. But that doesn’t mean it’s easy – there is a lot of depth to the combat hidden under the charming exterior. NUK: You’ve described Bad North as a “roguelite”. Could you elaborate on how this particular feature impacts the gameplay? 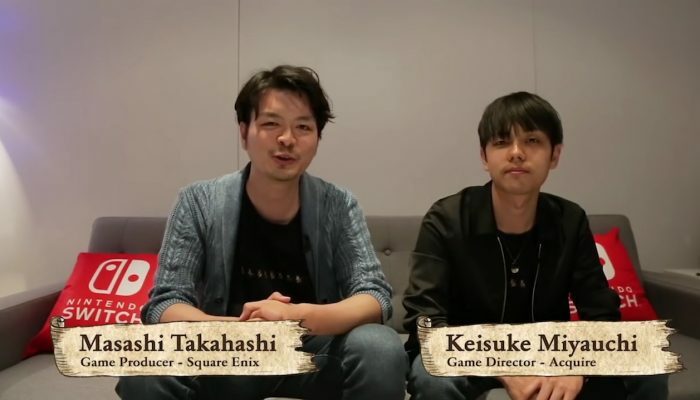 PC: Most things in the game are procedurally generated – the islands, the campaign progression, even the visual style of your units, so every playthrough will be different. We also have a permadeath mechanic on the squad commanders: if the individual soldiers under their command get killed then that’s OK in the long term, but if one of your commanders dies, you lose that squad and all its upgrades forever. You’ll also be unlikely to complete the game on your first playthrough, so a key part of beating Bad North’s campaign is restarting the game after failure, but with more knowledge and understanding, so you can progress further each time. NUK: What is the origin story of Bad North’s development? Where did it all begin? PC: It started from a number of concepts that Oskar was playing around with back in 2016 – specifically the procedural generation algorithms, and ideas of how to get units moving in crowds. These tech experiments went through several iterations, including tower blocks and post-delivering cats! This then kind of evolved into this idea of miniature islands and once that happened, Viking invaders on longships just made sense. So it was very much a case of exploring the technology and letting the game tell us what it wanted to be, rather than there being an initial design idea for a game that was Bad North. NUK: There are plenty of Vikings to fend off. How does the combat work in-game? PC: We have this very low granularity of interaction, which means that mostly players will be simply positioning their squads on a grid and then each of the units in that squad decide how/when to attack from there. A lot of the strategy then comes from understanding the layouts of the levels, the relative strengths and weaknesses of the different unit types, and how your soldiers are going to behave in any given situation. It seems almost too simple to begin with, but there is a lot of complex simulation happening under the hood which brings a lot of hidden depth to the game. Once you start facing a wider variety of troop types you really need to start thinking about how to optimize your strategy and always be prepared for when your defence breaks down – the battle can turn against you very and it’s very difficult to get back in control. As you progress further and upgrade your commanders, you’ll have access to some abilities that are more micromanaged by the player – things like your infantry jumping down from cliffs onto Vikings below, or telling your archers to bombard a particular spot with arrows. These won’t form the core of your strategy, but can be devastating when used at the perfect time. NUK: What was the inspiration behind the art style seen in Bad North? PC: The style started as a concept mashup between Revenge of the Titans and Total War, some 3 years before Bad North even got started. These concepts didn’t really turn into anything concrete, so Oskar shelved them. But then as Bad North evolved and started to take shape, there were a lot of ideas there, especially with the characters and animation, that fit perfectly with this new game. The core value behind the art of Bad North is readability: the strategic elements of the game are driven by a dynamic simulation which, crucially, is hidden away from the player. We don’t present you with explicit rules and stats, so everything that happens in the combat needs to be visible and understandable. This also continues into the blocky style of the islands and the grid-based placement of your troops. It’s much easier to understand and predict the outcome of your positioning if you have a discrete possibility space – the implications of placing your troops on a specific tile vs the one next to it is clearly understandable in the landscape. 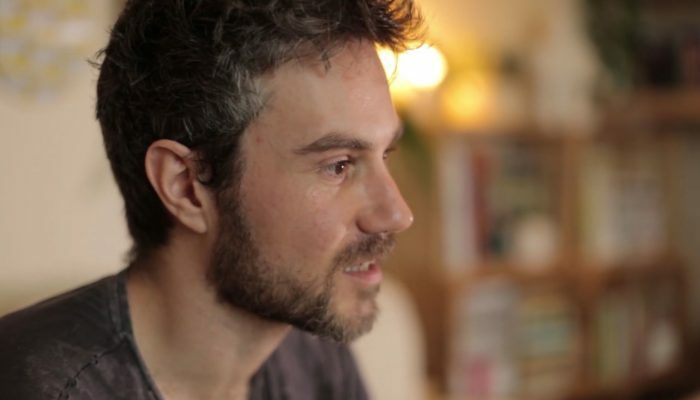 NUK: The sound design feels like an important element of Bad North, what inspired it? 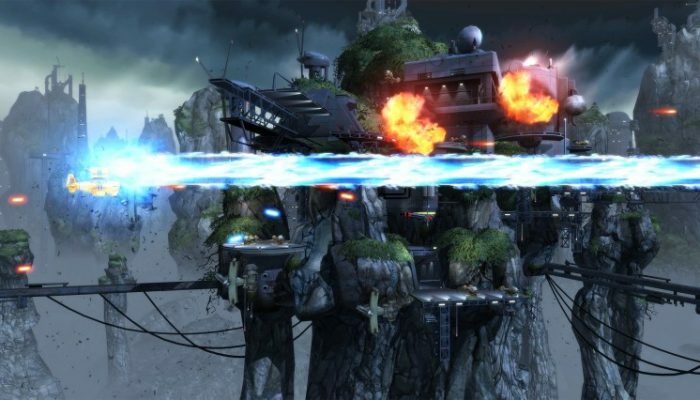 PC: The sound design got started after the game had found its strong visual style, and in addition the characters move on the islands in a manner that feels lifelike. Therefore the clearest inspiration was the game itself, and what we felt was needed to convey through sound. The first thing we solved was actually the slow-time sound effect that informed the player that you have now slowed down time to get some time to think. We were inspired by the idea of the battles being a diorama of a real battle, you have the battle in your hand and these tiny beings are fighting it out for you so to speak. Seeing the game like this in part freed the sound design into being more quirky than realistic. It’s also really important that the sound design complements and enhances the readability of the game. You can hear every clash of swords and arrow impact, so as battles progress and the Vikings invade, you should be able to close your eyes and still understand what is going on in the game. NUK: What was it that attracted you to develop Bad North for Nintendo Switch? PC: The Switch is a really great platform for Bad North, as each level / island takes about 5-6 minutes to play and the minimalist control scheme works great with touch, so the game is perfect for handheld mode. We also feel we’ve found a really nice solution for gamepad controls, by treating the game more like a turn-based game (similar to Mario + Rabbids: Kingdom Battle or XCOM). On top of that, the Switch is just a great platform to be on in 2018. The console is doing well and seems to have a really engaged audience with a lot of goodwill behind it. Nintendo is clearly invested in actively supporting and promoting indies right now which is really reassuring for us. NUK: Would you say Bad North is a game that’s easy to pick up and get into? PC: Absolutely – this is one of our key pillars and goals for the game. Most strategy / tactics games require you to learn a whole bunch of abstract systems and concepts before you can even begin to have fun and then also require you to be constantly micromanaging everything. While games like that totally have their place and their audience, for a lot of people that’s just overwhelming. So we almost consider Bad North to be a game for people who like the idea of playing strategy games more than the reality of playing (typical) strategy games. We’ve distilled down a lot of the concepts to a very minimalistic form, reduced the number and frequency of actions, and encourage you to learn the systems by simply playing the game. There is certainly depth there as well for veteran strategy fans, but you find that depth over time, by watching how the battles play out. Despite having quite abstract characters, everything that is happening is shown clearly – you can see and hear when arrows strike a shield, or when two soldiers clash swords. You should be able to intuit why your strategy works or doesn’t work, which makes the game very accessible. NUK: Naturally, people playing on Nintendo Switch will be able to take Bad North wherever they go. Do you think the game suits portable play in short bursts as well as those long sessions on the TV? 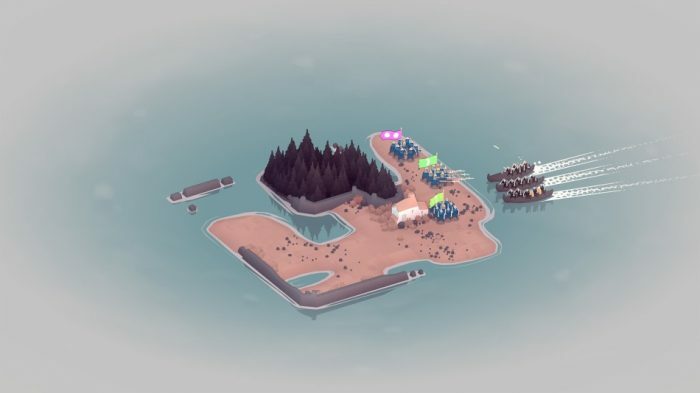 PC: Bad North is perfect for short burst play in handheld mode and while maybe the game isn’t suited to very long sessions, it’s certainly engaging beyond the scope of single levels. The core combat itself has you always wanting to play just one more level, and because the campaign has a clear progression. You’re going to want to keep on playing as you chart out your route through the islands, spend the in-game money you’ve collected from the last level to purchase upgrades and then use those new toys in the next level. NUK: What are your favourite games on Nintendo Switch so far? PC: We’ve been really impressed by both The Legend of Zelda: Breath of the Wild and Super Mario Odyssey – they’re maybe obvious choices but both had such a refreshing approach to their core game loops and some fantastic game design. There’s so much charm to the interactions as well, they are really joyous experiences and it’s clear that a lot of love was poured into those games. There is also the amazing line-up on indies on Switch – so many great smaller titles which work perfectly with the portability of the console. NUK: Is there anything else you’d like to mention? Any message to fans eagerly anticipating Bad North? PC: Just that we’ve been totally overwhelmed by the response to Bad North – it’s been so much fun watching people play the game at EGX Rezzed this weekend and we’re so excited to release it to the world in the summer! NUK: We’re looking forward to it! Thanks a lot for taking the time to talk to us! Bad North releases on Nintendo eShop for Nintendo Switch in summer 2018.